Looking for a taste of the outdoors? 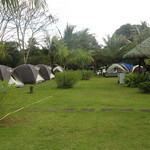 Enjoy Villa Crisanta’s vast campground with room for 500 people. Light up a bonfire and relish the peace and quiet of the resort. 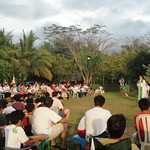 Gaze at the stars visible with the clear night sky and rejuvenate your senses with the fresh southern air. There’s running water, electricity, outdoor showers and toilets. Ample and nearby parking allows you to do a quick run into the city for missing supplies. 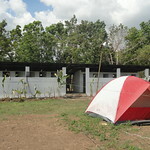 If it gets too rough, you can always check into any of the comfortably air-conditioned rooms. Play volleyball, bike the challenging trail, run the obstacle course or simply cool down in one of the many swimming pools. Too lazy to even cook? There’s a strong cellphone signal so you can use your mobile phone to have food delivered from the major fast food joints nearby. 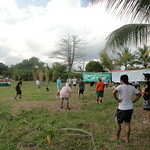 Contact us to organize your organization’s next team building or camping trip at Villa Crisanta.